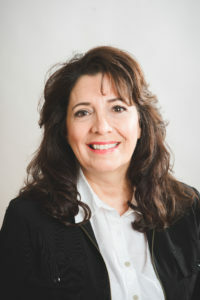 Sylvia Cantu handles home sales for Specialized Property Management. Previously, she oversaw the management single family homes for large financial institutions such as Fannie Mae, Wells Fargo, Chase, and HSBC, totaling over 17,000 homes in aggregate across all fifty states. Ms. Cantu led a team responsible for coordinating the full life-cycle of National Account properties. This included: assignment; property/tenant assessment; leasing; expense reimbursement; repair coordination; tenant move-out; and eviction. The team provided nationwide coverage, working with local franchises to ensure contractual service levels were met and key performance goals were achieved. She was instrumental in developing key performance metrics on both the financial and operational components, ultimately increasing the ROI% for HUD by 14%. Prior to joining Specialized Property Management, Sylvia spent eleven years Exxon Mobil as a Senior Manager over complex projects. She also has over ten years of experience in the Dallas and Fort Worth real estate industry, where she has worked with investors on rental property acquisition.